Explore upcoming events that are designed for alumni to grow their networks, develop their business knowledge, and reconnect. 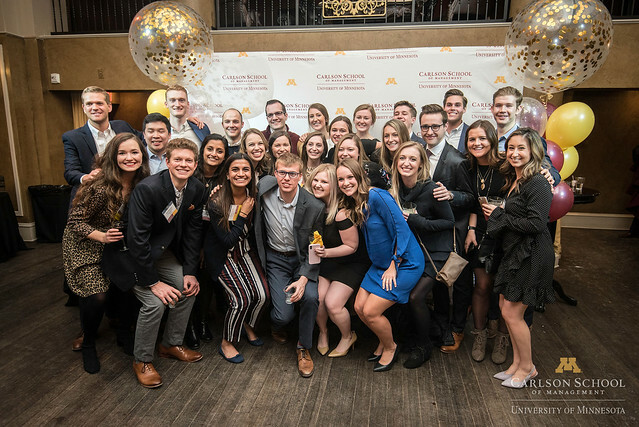 Whether you’re interested in hearing lessons in leadership, extending your professional network, or simply catching up with classmates, the Carlson School offers a variety of events to stay connected and engaged. Held on the first Tuesday of every month at the McNamara Alumni Center, the program attracts alumni and business leaders from throughout the corporate community and has become an attractive spot for professionals in the metropolitan area to network. Thanks to those of you who attended our Gold Soiree on January 27! Photos are ready to be viewed and downloaded. For those of you who couldn't make it, we hope to see you at the next event!